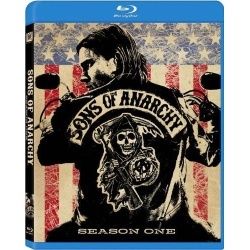 From an executive producer of The Shield, comes a gripping drama that takes you into the ruthless underworld of outlaw bikers. The Sons of Anarchy live, ride and die for brotherhood. But as the clubs leader (Ron Perlman) and his wife (Katey Sagal) steer them in an increasingly lawless direction, her son Jax (Charlie Hunnam) is torn between loyalty and the legacy in this adrenaline-charged first season.